Alban is the best!! He helped me find my dream home and is extremely reliable and very very professional! So happy. He also is very knowledgeable in the South/Florida market and is so unique compared to most real estate agents. He always picks up the phone and works fast and very productive. He is like no other and goes out of his way to make you 100% satisfied. 5 stars is not enough.. would do 10! Thanks Alban!! I would recommend Alban for his services. He is highly skilled, doesn’t push and respects your needs & time. My husband and I recently closed on a townhome in Coconut Grove after nearly two years of searching for property. Over the course of two years, we interacted with many different real estate agents and saw it all--the good, the bad, and the ugly. Alban was courteous, reliable, and professional. He was always responsive to phone calls, text messages, and e-mails and showed up for appointments ON TIME!! When we decided we wanted to make an offer, Alban was critical in moving our offer forward and helping us to negotiate a good price and terms with the seller. This was not an easy property to buy, and we were not easy clients. I am grateful for Alban's assistance in closing this deal quickly and professionally. I highly recommend Alban if you are looking to purchase property. I was looking to lease some property in order to expend a small percentage of our business with my other 2 parters from New York to Miami ! While exploring the market , a friend of mine introduced us to Alban Mecaj as his trusted real estate agent ! Alban walked us through all the steps and information needed in order for us to make the right decision! Very helpful, reachable and passionate about his job! He knows everyting and everybody , and will bring the best price for you! Great experience, thank you Alban ! Alban was very professional and helpful. I had many questions since I was moving in a new area; however, Alban was very prompt to help and his devotion was very much appreciated. He has a lot a connections in the area so helped me find exactly what I was looking for. Great Service!!! When it comes to real estate and restaurant industry Alban is a true master of his craft. He is very organized and very engaging! His genuine intention, towards understanding and solving your problems with your specific needs, is spot on! Simply one word. AMAZING. Alban Mecaj is like no other broker I've ever worked with. There are so many agents who walk and talk doing the same thing. It is very hard to find somebody with a different approach and honest, reliable and thinks outside the box. Alban is extremely hardworking and always puts you first and picks up the phone day and night, holiday or birthday. He is fast paced and his negotiation skills are incredible. 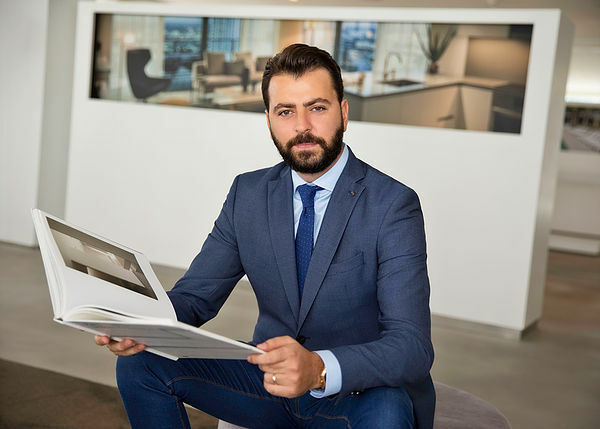 He speaks four languages and has many connections in real estate and the restaurant industry and has great communication skills with International clients. I've never met anyone like him who makes sure I'm 100% satisfied before and after the deal. He dedicates everything to make sure you are comfortable and finding the property of your dreams. Not a typical "broker" who just wants to close a deal. He is truly different and refreshing in the industry with a unique personality and work ethic. I will always use him for all my family's real estate and extremely satisfied. Look no further! He works hard and makes sure that you will find the perfect fit for you within your budget and preferences. We were able to find a amazing unit with good price after 3 weeks of dedicated looking for one that I was 100% comfortable with. Knows how to negotiate pretty well, highy recommended! Albi is amazing, he really pays attention to what you are looking for. He is extremely responsive and very pro-active, he won't waste his time or yours. I highly recommend him for your real estate needs, I wouldn't use anyone else! Just what I wanted...and more! Alban exceeded my expectations and helped me find the most amazing house in 48 hours! I couldn't believe how fast, knowledable and efficient he was. Also a great negotiater and got me the best deal. Most brokers take days to return a phone call especially in Miami. Alban responds day or night, holiday, traveling and everything more. He is a powerhouse and sends you everything you need in a blink of an eye. He doesn't waste time and he's a straight forward shooter. Excellent communication skills and extremely unique in this tough industry. I had a great experience working with Alban Mecaj. Not only was he extremely knowledgeable about the market, but he was professional, reliable and a pleasure to work with. As a first time buyer, I had a lot of questions and needed some guidance to find my perfect home. Alban was helpful throughout the entire process and understood exactly what I was looking for. I would definitely use him again and would recommend him to any friends in need of a broker in the Miami area.